Never made a fabric Yo Yo before? Well let me tell you, nothing could be simpler. 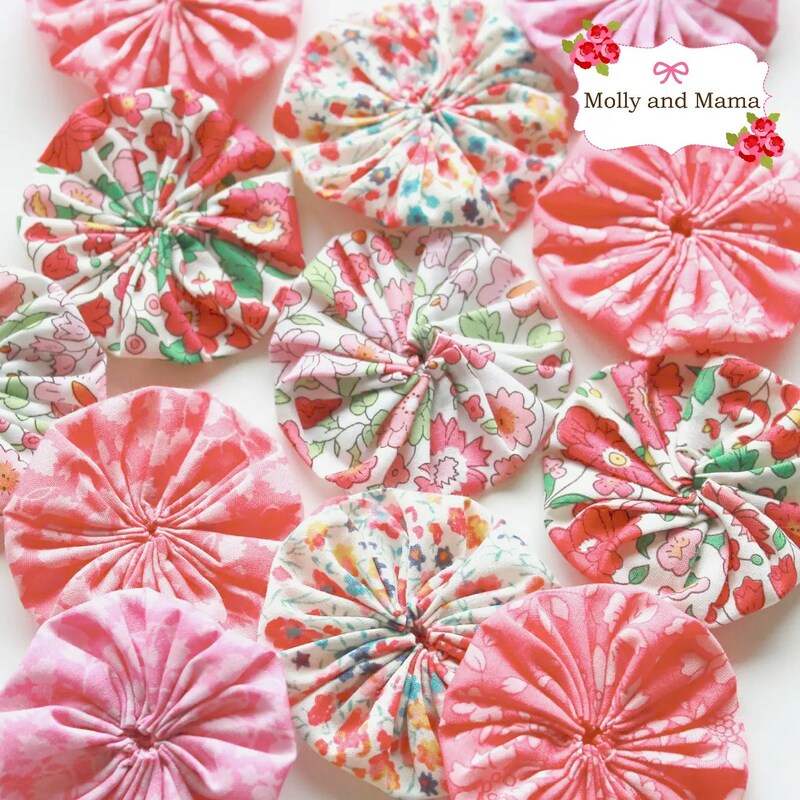 These adorable little fabric puffs have been adorning quilts and all manner of sewing projects since the 1930’s. 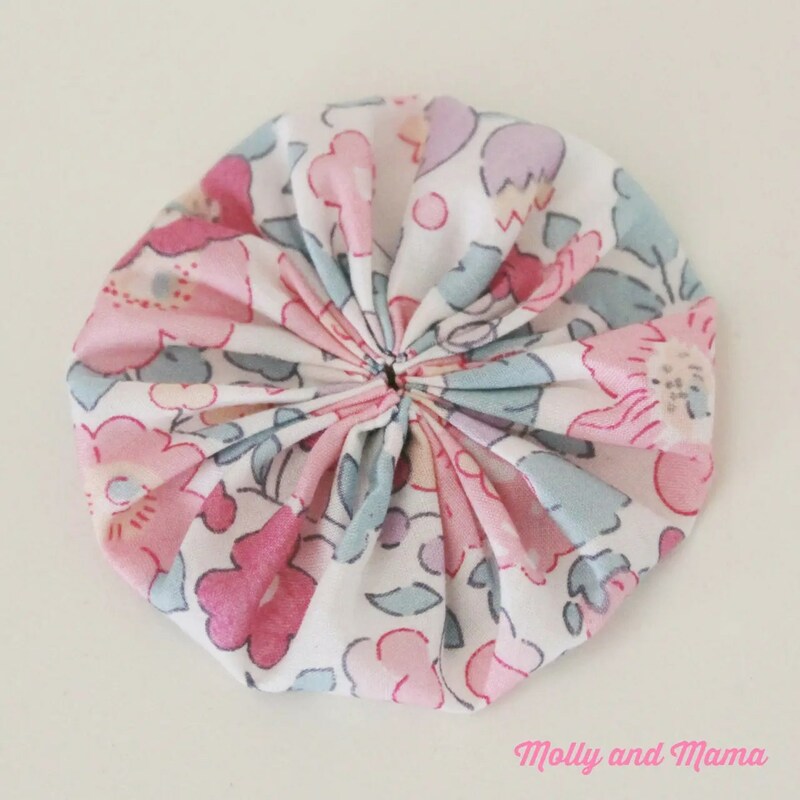 Also known as Suffolk Puffs, they’ve always been a popular way to use up fabric scraps. Being completely hand stitched, they’re a practical and portable project. You can make them in any size you wish and use them however you want. I love to make pretty hair accessories with them. And I’ve also created a doll’s quilt tutorial with them too. You can see it HERE at Sew Mama Sew. Looking for more inspiration? My Yo Yo Pinterest Board has lots of ideas too! 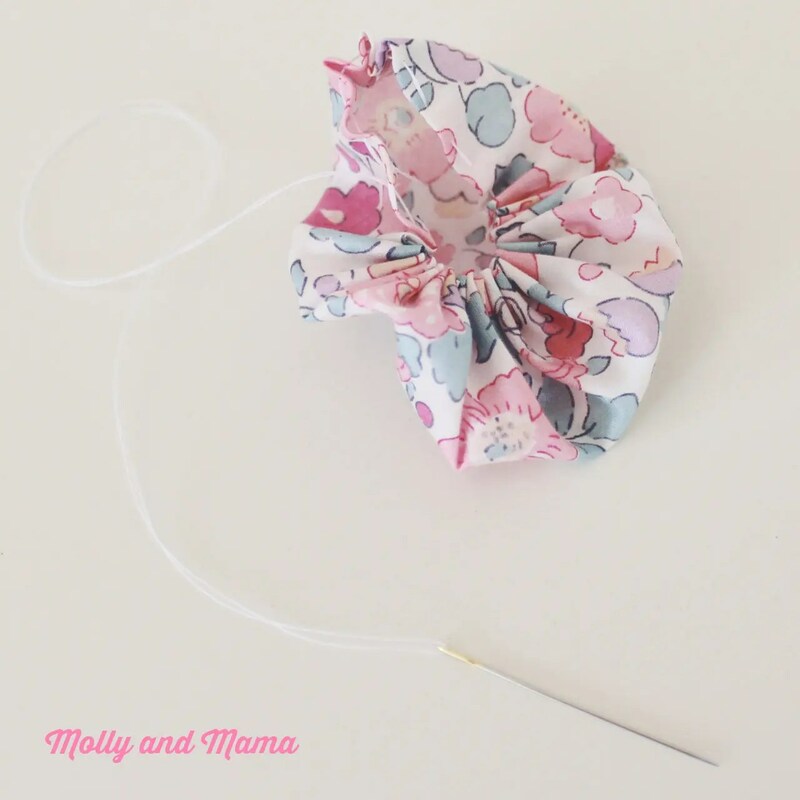 So here’s some simple, step-by-step instructions to sew your own yo yo’s. I’ve used gorgeous Liberty tana lawn for mine, but you can really use any fabric. Experiment with different prints and fabrics or even lace. You can get some beautiful results! And once you’ve stitched one yo yo, I promise you won’t be able to stop. They’re just so easy, and so cute! If you’re making more than one yo yo for a project, and you’d like them all to be the same size, it’s useful to create yourself a template. 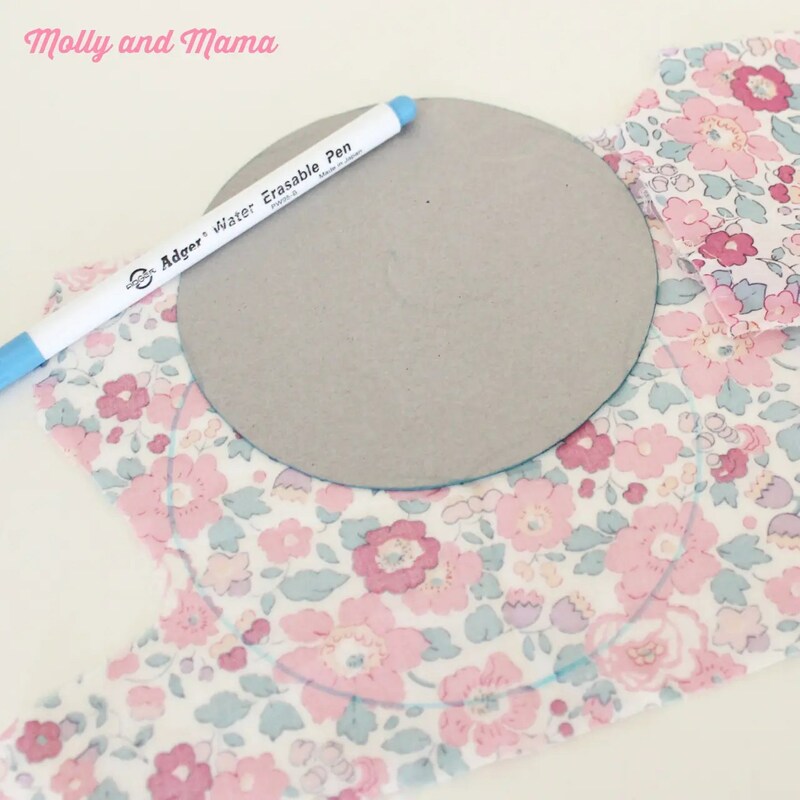 Trace a circle onto cardboard or template plastic. I tend to use a 5 inch circle which creates a yoyo around 2 inches across. Use a compass to get a perfect circle shape. Alternatively, you can use an object from around the house. I like side plates, jar lids and CD’s, but anything with the right diameter will do. Cut out your template and label it for future use. Trace around your template or object using your marker or pen, onto the wrong side of your chosen fabric. 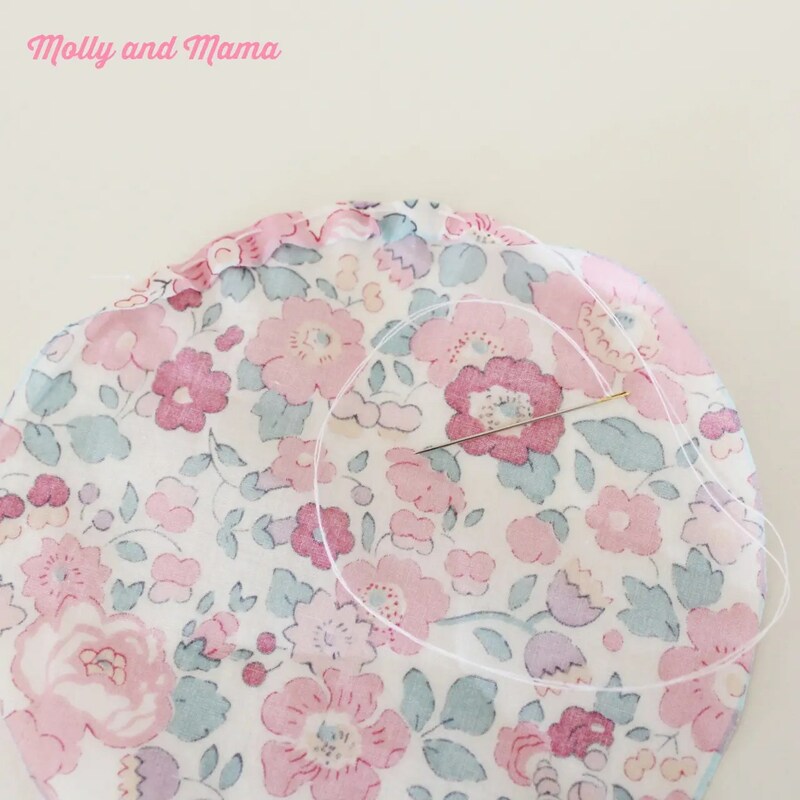 Carefully cut out your fabric circle and give it a quick press with the iron if you haven’t already done so. Now we’re set to get stitching. I like to double thread an embroidery needle with sewing cotton, and tie a knot in the end. Make sure you have enough cotton to stitch the circumference of the circle. I begin by folding over a scant hem and sewing a running stitch around the outside of the circle. If your stitches are close together, you’ll create a larger ‘opening’ at the centre of the yo yo. I like wider stitches that close the gap in the centre instead. I find it quicker to ‘load up’ your needle with a number of stitches at once. It is also easier to check that your stitches are the same size. Then you can pull your thread through and continue sewing. When you have completed ‘hemming the circle’, ensure that your last stitch exits on the right side of the fabric. This will make for a neater finish when you finish your yo yo. Gently pull your cotton to gather up the stitches into a little puff. 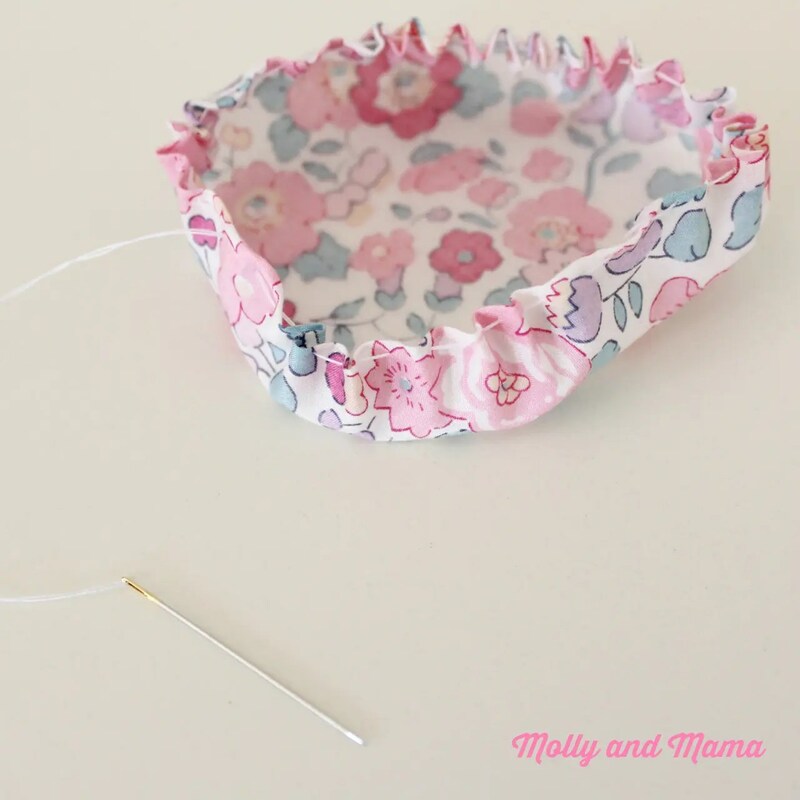 Flatten the puff and then shape the yo yo with your fingers, helping the ‘pleats’ to be evenly spaced. When you’re happy with the shape, use a few extra stitches to secure your yo yo. One way to quickly complete your yo yo is to tie the ‘knot’ end of your cotton to the ‘needle’ end and trim the knot once secure. I like to use invisible stitches and stitch through the pleats to ensure my sewing is secure instead. Remember to trim off extra cotton and keep any threads hidden inside the yo yo. Your completed yo yo is ready for use! 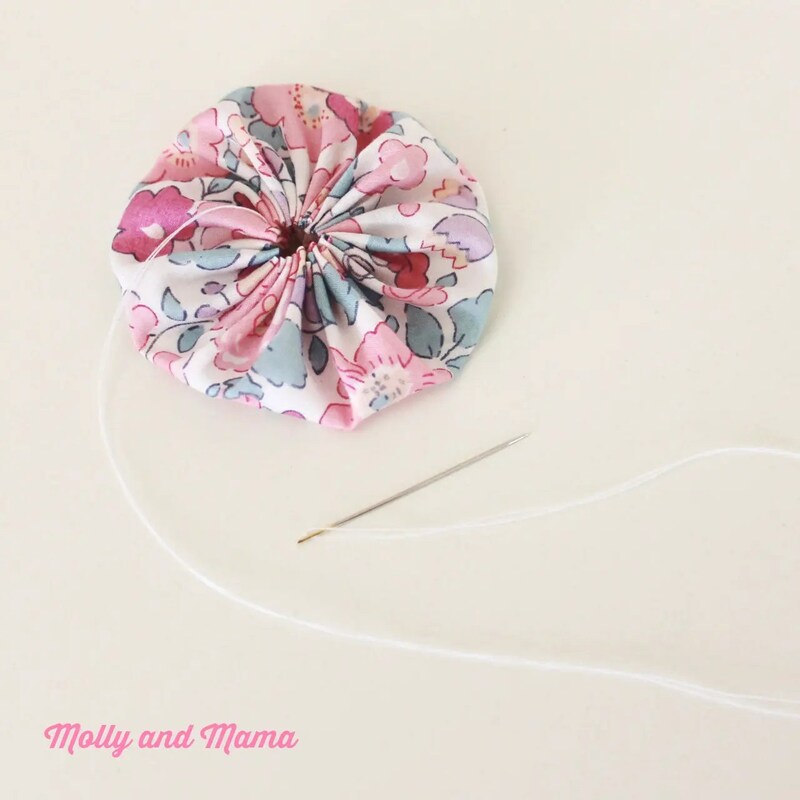 I’ve used this kind of yo yo to create a hair clip by attaching a pretty crochet flower to the front, and a ribbon covered clip to the back. You can follow my tutorial for this project HERE. 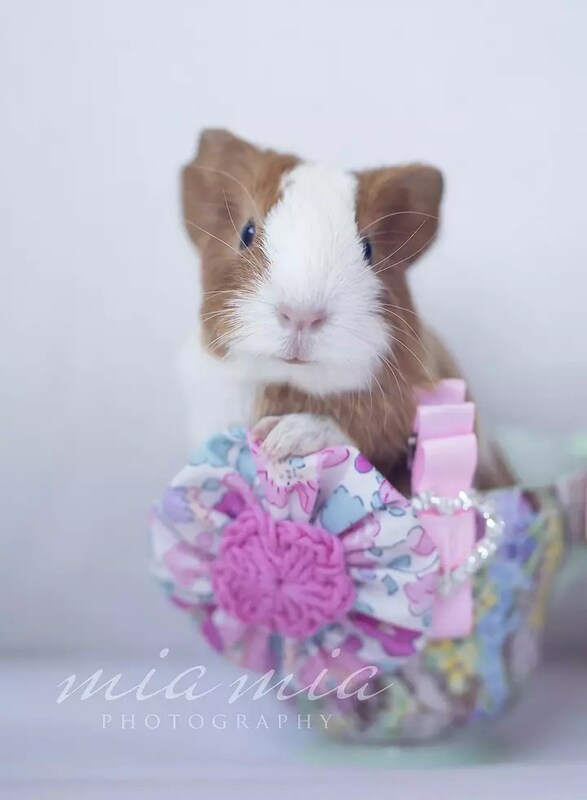 Doesn’t Monty (the guinea pig) make an adorable model? 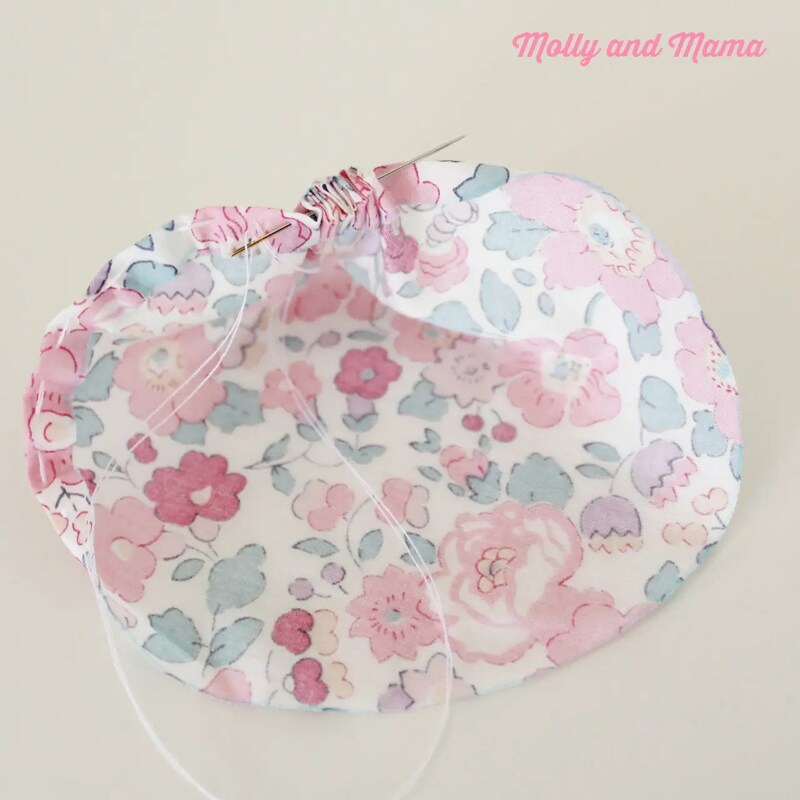 And thanks for being here for another Molly and Mama tutorial. You can find more projects for beginners HERE. Sign up via email or Bloglovin’ so you don’t miss a thing! Use the tabs in the right side bar. Keep up to date with my sewing and project ideas by visiting PINTEREST. 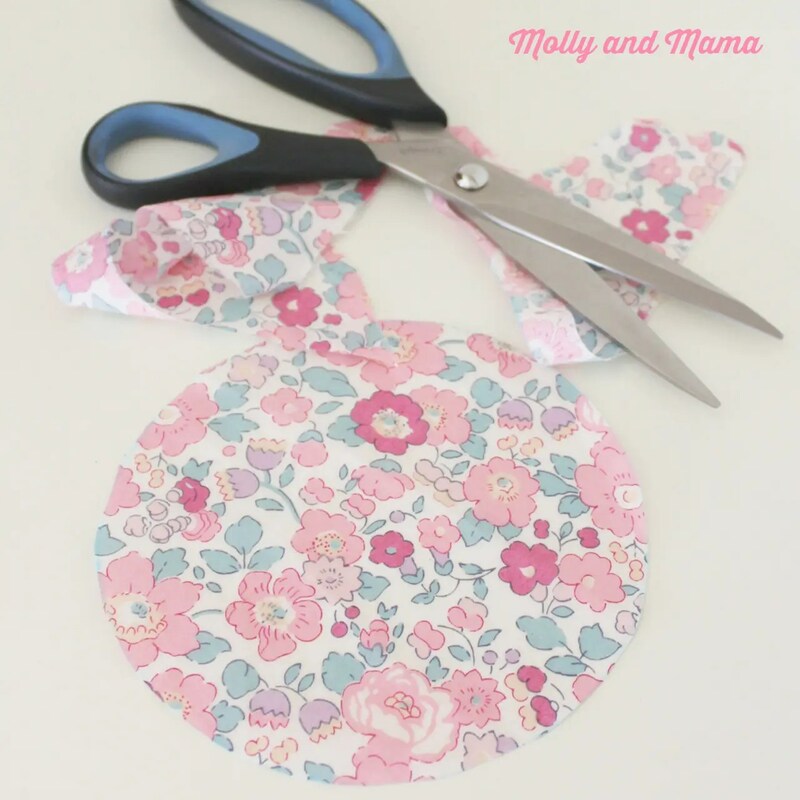 And feel free to share your creations on the Molly and Mama Facebook Page. They’re such a practical little project Jessie. I can’t wait to make a little coverlet with them. Love Yoyos .. Use as emblellishments on quilts and tea towels. I have a yoyo quilt that was made by my Grandma which consists of approximately 1400 yoyos… all made from the scraps of sewing for her 6 daughters MANY years ago. My treasure! Joyce, the story of your Grandmother’s quilt is so precious. It’s lovely to hear so thanks for sharing! To complete the yo-yo, you say to “tie the ‘knot’ end of your cotton to the ‘needle’ end and trim the knot once secure.” I don’t understand what that means. Kate, I’m so glad you’re feeling inspired. I’d love to see some of the projects you create! Have fun! I always thought small close stitches were best to create a closed look, now I know why mine never closed! Thanks a zillion! I love yo yo’s! This is a great tutorial thanks for sharing with us. You’re very welcome Debbie. I love them too! Thanks for linking Chrissy! Your cushion project is adorable!